Lester G. Strangman, age 92, died April 6 2019, at Kaplan Family Hospice House. He is the husband of Alice C. (Bell) Strangman. He was the son of the late Lester C. and Ruth Marion (Scott) Strangman. At age 14 he published the Magnolia Surf News, a local gossip and information newsletter. Publication ceased after three years just prior to his graduation from Gloucester High School Class of 1945. He attended United States Merchant Marine Academy at Kings Point New York. An honrory discharged veteran he served in the United States Navy. 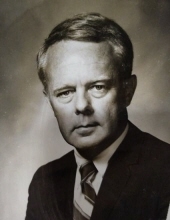 Mr. Strangman worked for thirty-six years with John Hancock Mutual Life Insurance Company and retied a Quality Business Officer and Director of Persistency and Replacement Programs. He was Chairman of the Quality Business Committee for Life Insurance Management Research Association, a Hartford Connecticut life insurance industry association, a nationwide research group for major life insurance companies. He was a Charter member Magnolia Historical Society, Town gold member for over fifty years, Past President of Magnolia Lions Club, President and Chairman of the Board of Directors of the Manchester Lodge Building Association during the construction of Manchester Masonic, Past master of Manchester Lodge AF & AM, Clerk of First Parish Church, Trustee of the First Parish Church, Sunday School Teacher of the First Parish Church, Founder and first President of the Christian Men’s Club of First Parish Church, Creator and publisher of the First Parish Church Bell newsletter. In addition to his wife his is survived by son, Richard S. Strangman of Merrimack, two daughters Nancy Gonthier and her husband Claude of Amesbury, Diane Collens of Manchester by the Sea; a brother Robert Strangman of CA; nine grandchildren, Samantha, Robert, Angela, Anthony, Thomas, David, Josiah, Justin, Brittany; ten great grandchildren, Julia, Anna Lee, Claire, Bradley, Camron, Cassius, JR, Lily, Jack, Evi. He was predeceased by three brothers, Stanley, Eugene, Herbert Strangman. Funeral service will be held on in First Parish Church Congregational in Manchester by the Sea on Thursday April 11, 2019 at 11 a.m. Relatives and friends are invited to attend. Visitation will be held in the Campbell Funeral Home 525 Cabot Street, Beverly on Wednesday from 4 to 7p.m. Burial in Pleasant Grove Cemetery Manchester by the Sea. Contributions may be made in his name to the Home for Little Wanderers Attn: Development The Home for Little Wanderers 10 Guest Street Boston, MA 02135 or Shriners Hospitals for Children Attn: Office of Development 2900 N. Rocky Point Dr.
Tampa, FL 33607. Information, directions, condolences at www.campbellfuneral.com. To send flowers or a remembrance gift to the family of Lester G. Strangman, please visit our Tribute Store. "Email Address" would like to share the life celebration of Lester G. Strangman. Click on the "link" to go to share a favorite memory or leave a condolence message for the family.